According to the CDC, mold can cause respiratory issues, allergies, and even serious infections that can compromise your immune system. Many buyers will run upon hearing the dreaded word “mold,” even if you promise to remediate. Big Easy Buyers can help. Mold needs water and moisture to survive, but it doesn’t take water damage for mold to appear; humidity can provide the moisture necessary for mold to grow. That’s why mold thrives in subtropical and tropical climates like Louisiana and Florida. Mold also loves darkness, as UV light harms it, so you’ll likely find mold in your home’s dark, damp places. Years after the floodwaters have receded, mold exposure is still an issue. Remediating a mold problem can take considerable funds to complete safely. Even once the work is complete, it can prove difficult to sell a home that has had previous issues with mold. If you’re hoping to sell without any delays, selling your house as is and for cash could be a desirable solution. Here’s what you need to know about discovering mold in your home, its effects on your health, the remediation process, and selling your property quickly. Because of its hot and humid climate, as well as susceptibility to flooding, New Orleans has an ongoing mold issue. The health effects of mold found in water-damaged homes after Hurricanes Katrina and Rita have been well studied, but it doesn’t take an expert to see how prevalent mold is here. 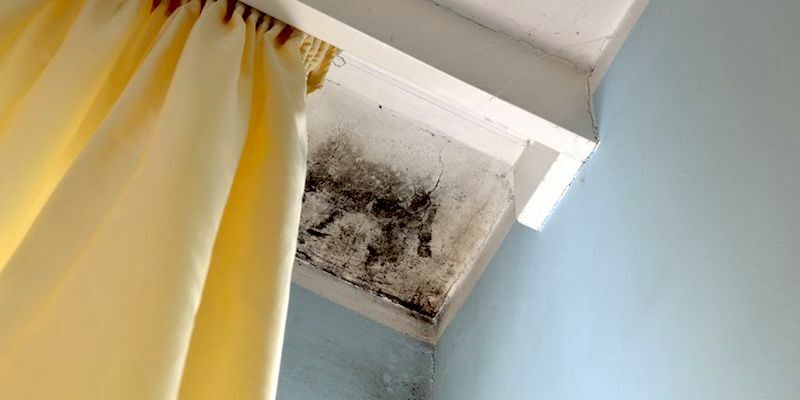 With thousands of houses standing abandoned or falling apart due to poor construction and poor post-flood cleanup and maintenance, mold remains a menace. Discovering mold inside a home is not something any homeowner welcomes; many buyers will run for the hills once they hear the dreaded “M” word, even if the seller promises to remediate. Any pricing estimates completed by you or your New Orleans real estate agent will need to be recalculated as well. If you see mold growing in your home (it might appear as black, green, or blue spots), or smell it (it will be musty), the best course of action is to remove it and prevent it from growing again. A visual inspection can be enough of a starting point to determine if you have mold, although in certain cases hiring a professional inspector or remediator is necessary. Once mold is located and tested, remediation is the next step. The extent of damage and its location will determine the course and the length of treatment, as well as the cost. The process can take just a few days and include a basic carpet removal and washing, or involve several weeks of demolition and rebuilding. Costs typically range from $500 to $4,000 to remove mold from crawl spaces only; $2,000 to $6,000 to remove mold from ducts, crawl spaces, walls, and attics; and $10,000-$30,000 for severe structural damage. Can I Sell a House As Is With Mold? Not all sellers want or can afford to deal with the headache of inspection, cleanup, and remediation. The process of professionally removing mold is pricey. Fortunately, Big Easy Buyers will buy your house, in its current condition (mold and all), for cash. The whole process — from you contacting us to closing — should take 30 days or less. If you need to sell your New Orleans house for cash, in as-is condition, contact us online or call (504) 513-7878.